A new, free online tool is expected to help school administrators perform "quick, low-cost evaluations" to make better decisions about educational technologies. "Rapid-Cycle Evaluation (RCE) Coach" is the creation of Mathematica Policy Research and the Office of Educational Technology at the U.S. Department of Education. RCE is a scientific approach promoted by Mathematica as an alternative to traditional program evaluation. The goal is to help schools conduct "high-quality, low-cost, quick-turnaround, policy-relevant studies." According to Alexandra Resch, associate director of Mathematica's human services research, the RCE Coach can help district decision makers evaluate ed tech use in the classroom to determine whether it caused its intended improvement, the impact of the change, and who was affected. Compiling the results into a report or presentation. Whether the school system should continue paying for a software tool it's already using. 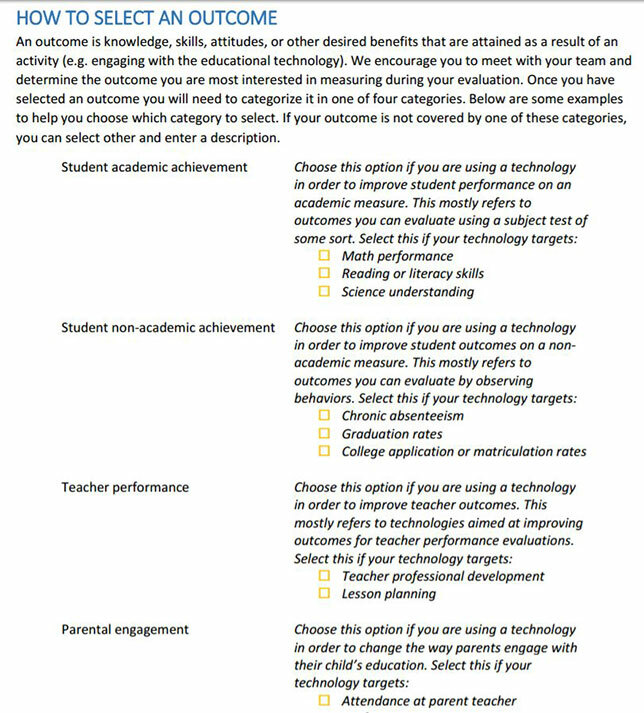 A beta version of the Ed Tech RCE Coach was launched last year for school districts and researchers to test and provide feedback on the tool's usability and functionality. Comments from these users guided the utility's development, which is expected to continue being updated in the future with additional tools. More information about the tool, as well as the registration link, is on the Ed Tech RCE website here.